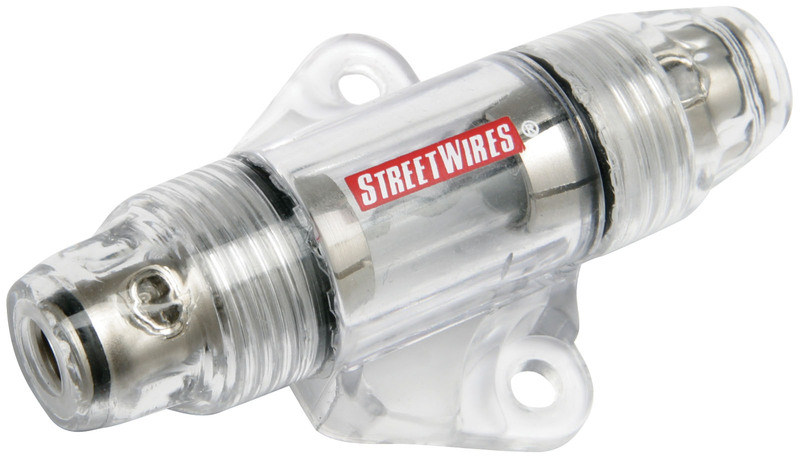 StreetWires Fuse Holders provide the ultimate in system protection. StreetWires In-Line Fuse Holders provide underhood system protection along the direct line from the battery. Deep well direct wire connections keep the cable jacket enclosed and prevent wire strands becoming exposed and rubber seals ensure waterproof design. Fuse Holders are the power flow link between your battery, multi-amp set up, and other accessories.